Check out the long awaited finish to this awesome new tattoo from the shop. 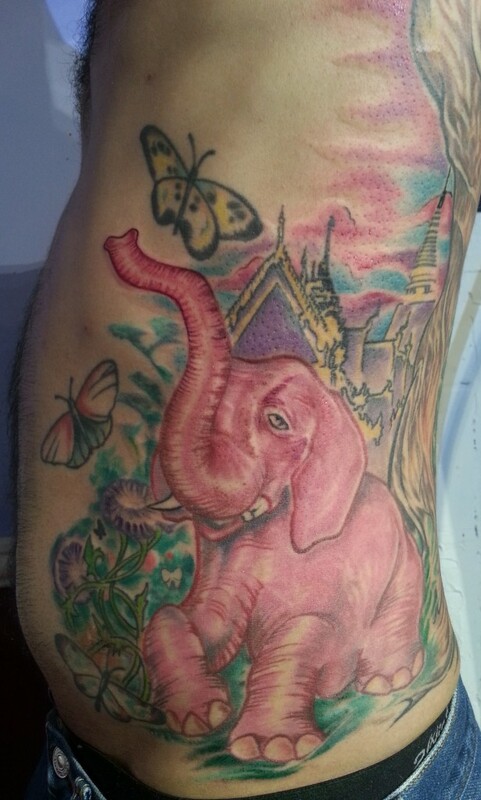 We love when our customers bring us ideas for colorful and vibrant tattoos such as this one! This entry was posted in Current Projects, Tattoos, Works In Progress.